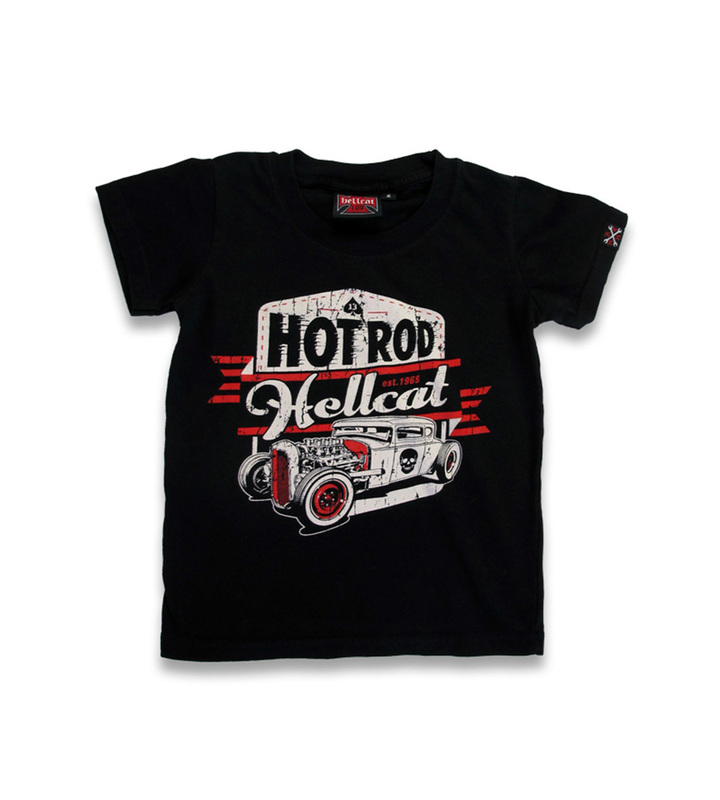 This Hot Rod Hellcat Speedshop tee features a grungy vintage Hot Rod with checkered race flags ready to wave him across the finish line. 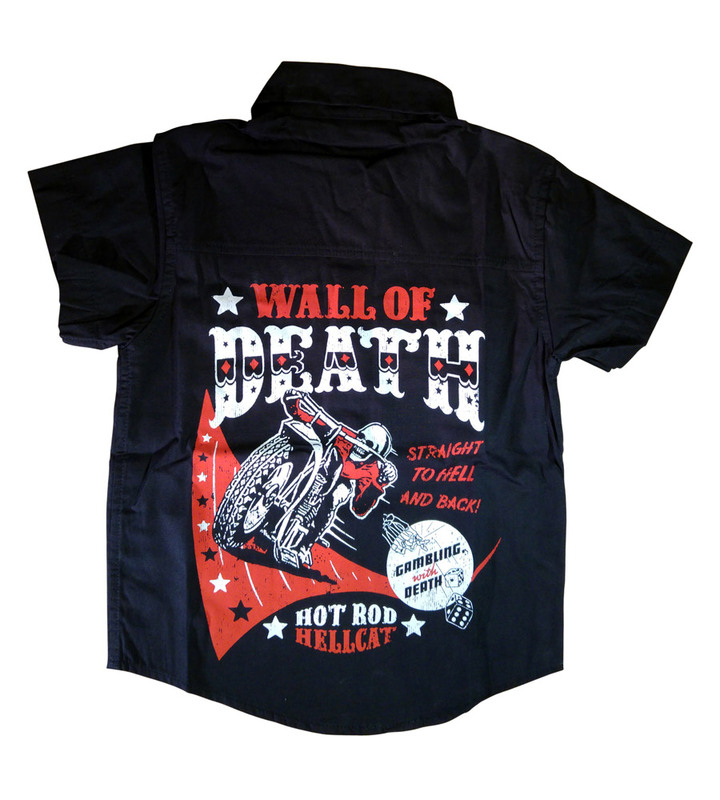 This shirt is perfect when paired with long sleeves or a kid's leather jacket. 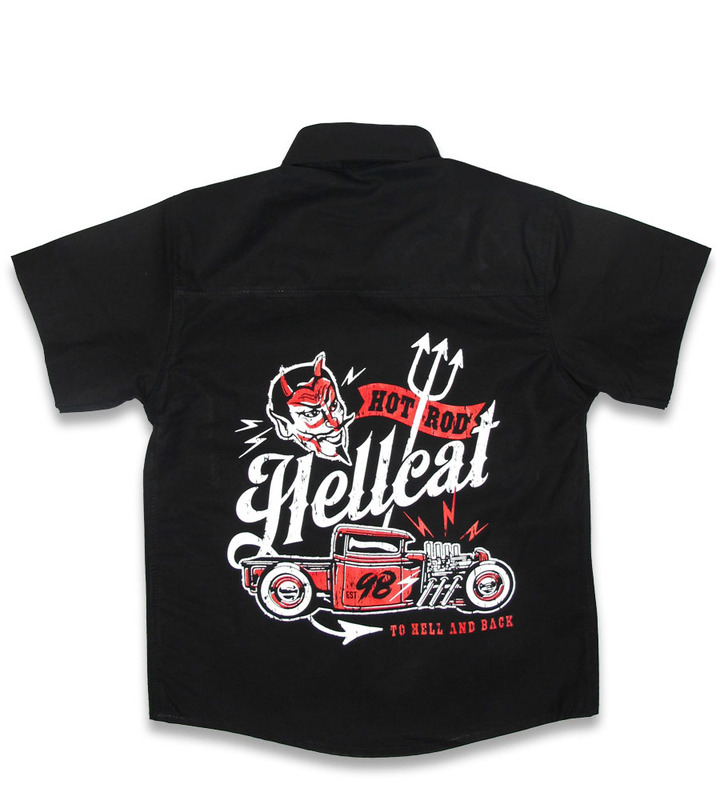 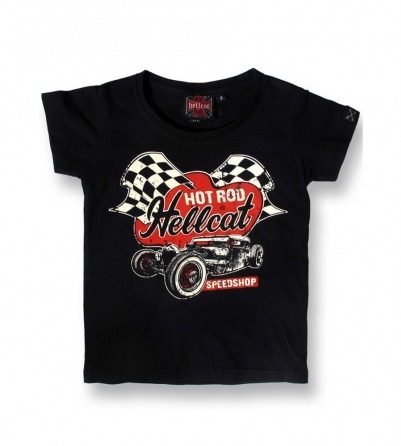 Whatever your little one is up to, make sure they do it in style with this rockabilly kid's t-shirt.